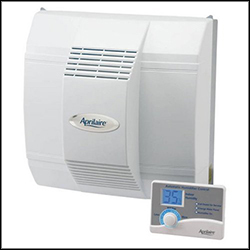 Aprilaire can help you control the purity of the air in your home with a whole-home air purifier. And unlike standard portable air purifiers, whole-home air purifiers are installed as part of your home’s heating and cooling system in order to effectively remove polluted air not just in one room—but throughout your entire home. Pro-Tech carries many Aprilaire products including Air Purifiers, Dehumidifiers, Humidifiers, Ventilation Products, and more! These products will keep the air in your home pure, crisp, and refreshing. For more information about Aprilaire products from Pro-Tech Heating & Cooling, please contact us here or call us directly at 616.453.5000.